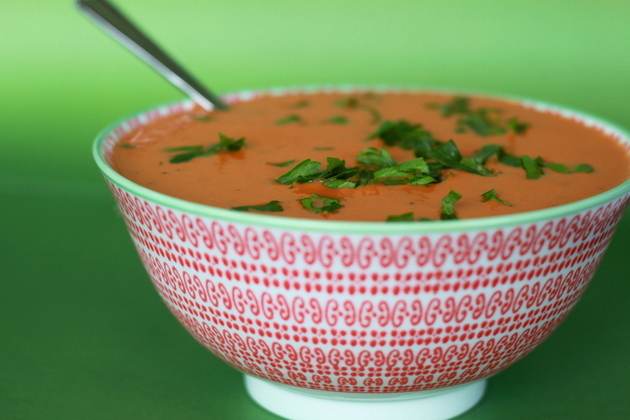 An incredibly simple tomato soup that calls for only six ingredients, but tastes so delicious that you'll never go back to canned tomato soup. 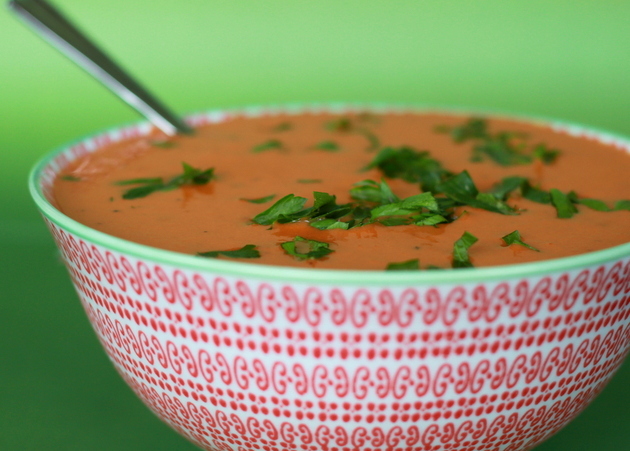 This recipe is unbelievably simple, yet so utterly delicious that once you try it, you’ll likely never go back to canned tomato soup. 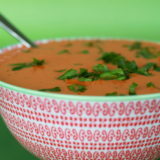 With just six ingredients – tomatoes, butter, an onion, vegetable broth, garlic, and a little cream – it’s a cinch to put together. 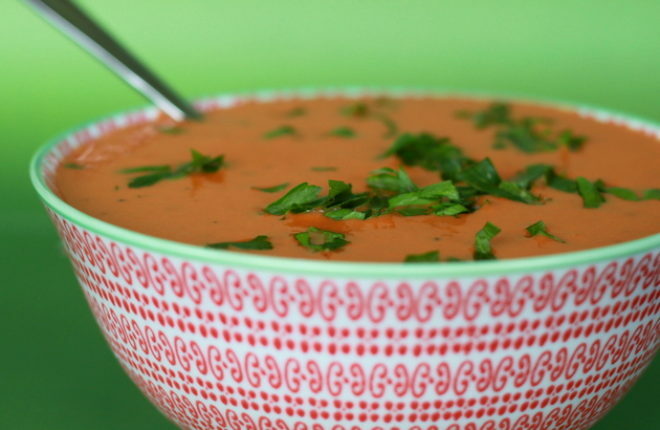 Tomato soup – especially super-delicious creamy tomato soup – is something just about everyone loves, meat-eaters and vegetarians alike, so it’s likely to please every palate under your roof. Serve it up with grilled cheese sandwiches and an easy green salad and you’ve got terrific meal. It freezes remarkably well, too – make a double batch and scoop individual servings into Ziploc bags, then freeze for later on. Love it. I garnished this bowl with a bit of chopped parsley to make it look pretty, but basil would be pretty amazing too. In a large saucepan over medium heat, bring the tomatoes, butter and onion to a boil. Reduce heat to low and simmer uncovered for about 45 minutes, until the tomatoes break down and droplets of butter float free from the tomatoes. If using whole tomatoes, break them up with a spoon as they cook. Add the vegetable broth and garlic. Return to a simmer and cook for another 10 minutes. Remove from heat and let mixture cool to room temperature so that it's safe to puree without danger of burning yourself. Puree ingredients in a blender, food processor, or right in the pan with an immersion blender. Return the mixture to the pan and return to a simmer. Stir in heavy cream and add salt and pepper to taste, if desired. Serve.